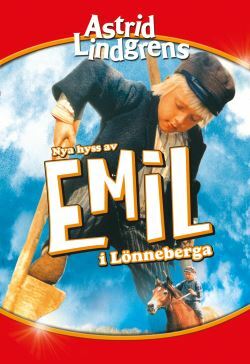 Emil's reputation for being a troublemaker makes the Svensson family's neighbours take up a collection for sending the boy off to America. But even if he among other unfortunate mishaps causes his father to get stuck in the outhouse window and get bitten by crawfish, all is forgotten when he skillfully wins the family a free horse. And when Alfred the farmhand gets seriously ill, Emil puts his own life on the line, venturing into a snow storm to get his best friend to a doctor before it is too late.